How can you compile an essential list of things to do, eat, and see in arguably the largest metropolis in the world? Websites like TimeOut and Lonely Planet have lists numbered in the hundreds of “essential” things to do. 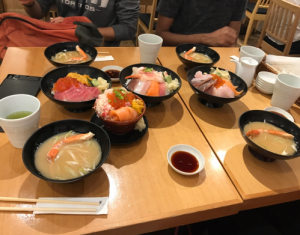 My short time in Tokyo didn’t allow me the chance to try half of the things I would’ve liked on such lists, but based on my experiences I compiled a list that just about anyone can check off in their next visit to Japan’s capital, Tokyo. 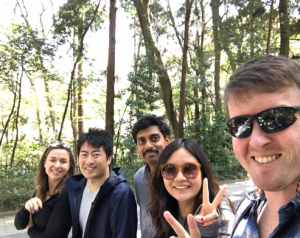 While you can see sakura trees planted everywhere throughout the city, our group made a point of visiting Sakura Dori Street. Lined the whole way with the famous blossoms, this is a destination for ordinary Tokyo residents just as much as it is for foreign tourists. 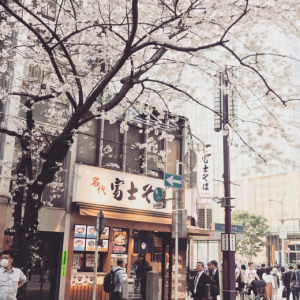 As much as it is a normal street lined with arcades, storefronts, and restaurants, it also becomes a pop-up photo-shoot location each spring, with many visitors dodging traffic to get the perfect panorama of sakura trees lining the block. 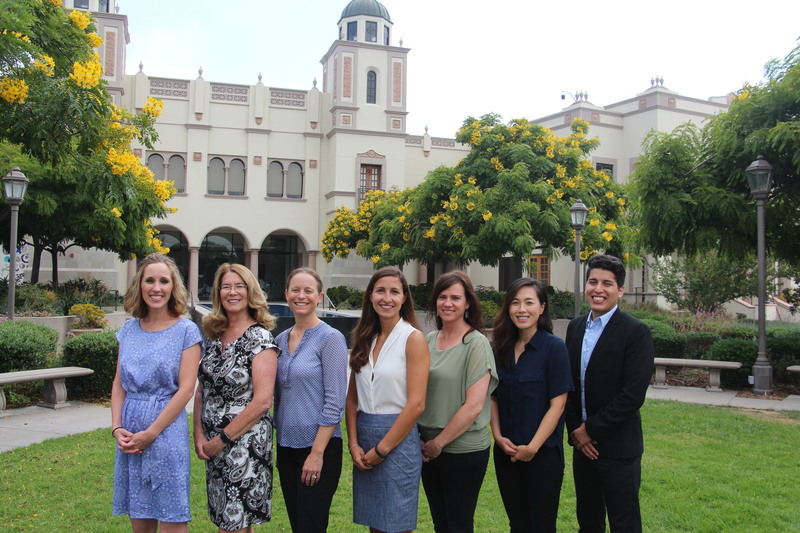 Naturally, the USD MBAers had to oblige with a photo. Kiyosumi Gardens are a former Edo period estate that has been converted into a picturesque locale for cherry blossoms, wedding photos, and even a traditional Tea House overlooking a glassy pond. Yoyogi Park surrounds the very center of Japan’s national religion, Shinto, at Meiji Jingu, and is a marvel of dendrology. The entire forest is the man-made creation of ordinary citizens donating trees from across the land to establish a pristine and deceptively natural environment. Walking along the wooded paths inspire a sense of awe and wonder at this confluence of man and nature. In our first afternoon out, we visited Senso-Ji, both the oldest Buddhist temple in Tokyo, and a vibrant marketplace of stalls lining the street towards the temple complex in Asakusa. The Buddhist architecture is impressive, as are the size of the crowds bustling through the market on their way to pray at the temple. 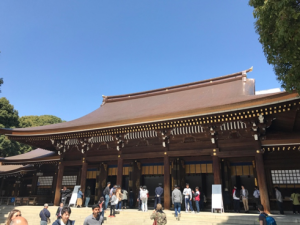 At Meiji Jingu, the central shrine in Japan’s national religion of Shinto, we learned about the unique practices and beliefs that comprise one of the oldest world religions, and how the cultural aspects of visiting a Shinto shrine influence everyday life both in Tokyo and throughout Japan. 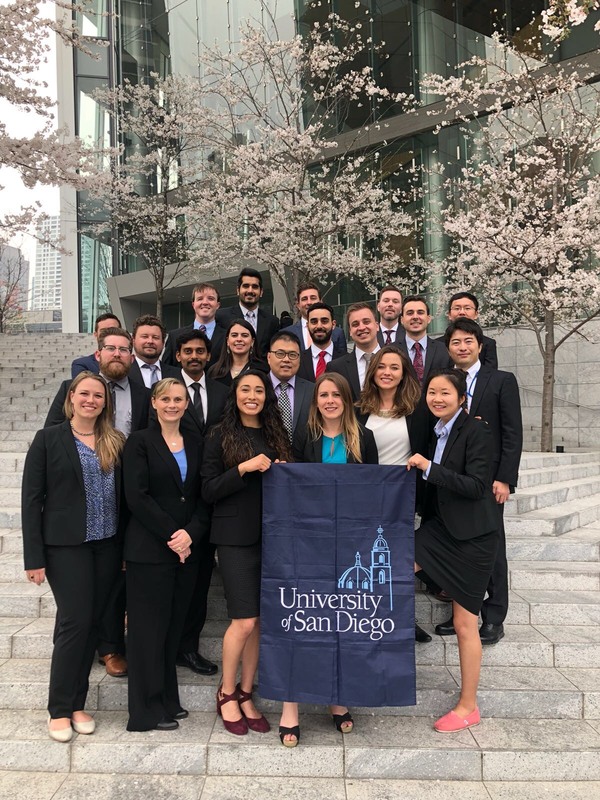 This entry was posted in Study Abroad, Travel Guides and tagged Ahlers Center for International Business, global business, global trends, go abroad, go global, international experience, mba, Tokyo, University of San Diego by Simran Vakil. Bookmark the permalink.